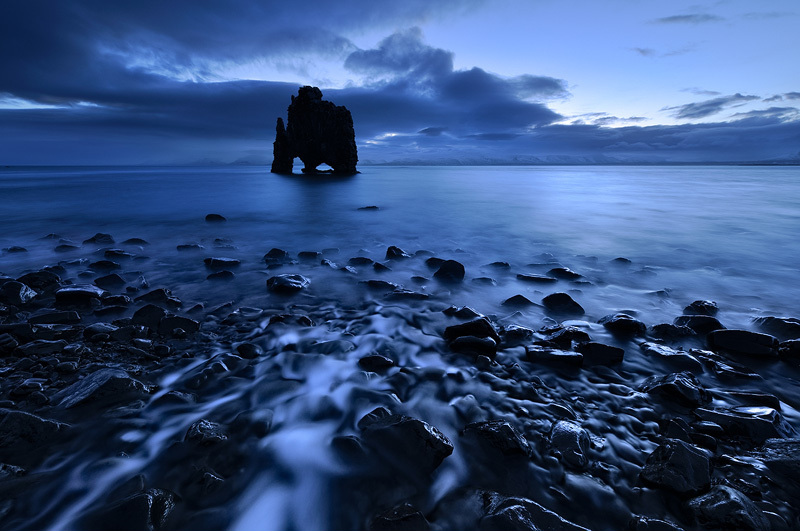 This sea stack in the north of Iceland is called Hvítserkur. I photographed it into the light to turn it into a silhouette, just before sunrise. I chose a low angle to include some of the foreground.